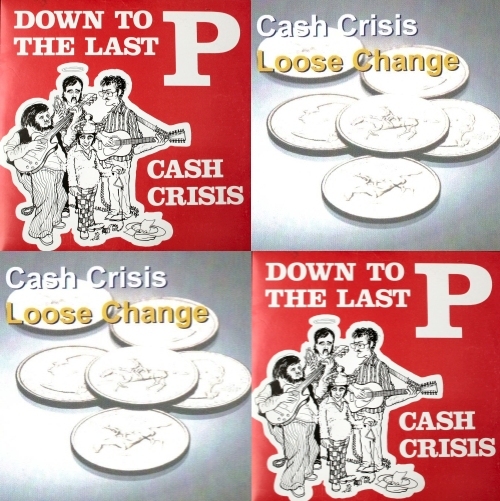 Our early work from the mid-70s appeared on 'Down to the last p' (vinyl) and also 'Loose Change'. Although this latter CD wasn't issued until 2004, it featured songs from the same early years, some of them reprised from 'Down to the last p' onto the more modern format. You can listen to our favourites from these two albums in the soundcloud window here. To find our more about each album, click on either image! Click on either of the albums to find out more about them. After the band formed in late 1975, we would congregate at Stuart's house in Cherrywood Close, Leyland to belt out some early 70's favourites (Eagles, Lindisfarne, Steve Stills, Neil Young et al). We then progressively introduced a number of Nigel's songs to our repertoire, many of which were written during his student days. Nigel's efforts led us all down the songwriting path in the following year, collaboratively or otherwise, and these new songs were painstakingly laid down on Ron's reel-to-reel tape recorder via a couple of very dodgy mikes. 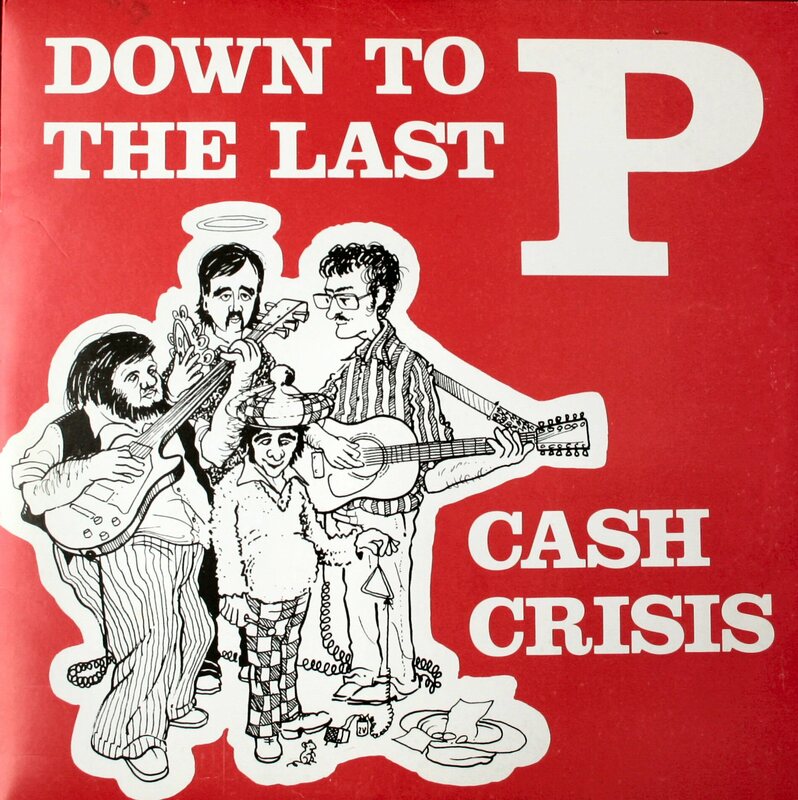 This was the basis of 'Down to the Last P', mostly recorded in Earlsway, Euxton, where Ron, Nigel and Jon had taken up residence in late 1976. Stuart had, by this time, left the band and returned north to his native Stirlingshire, leaving us a few half-decent recordings of his excellent classical guitar work, which found their way onto the album. The much-spliced tapes were mixed for us in a studio, but the young technician involved missed the title track off by accident (it was only about 90 seconds) and we were granted a 10% discount on the studio fees - it was a measure of our poverty that we didn't complain! The artwork for the resultant vinyl LP was produced by Bob Crawford, a talented cartoonist and Nigel's boss at the time. Clearly Bob had ideas, expressed in the drawings, of Nigel as angelic - true, Stuart as a lush - untrue, Ron as a rock god - partly true, and Jon as a ladies man - one couldn't possibly comment. 200 copies were produced, and to break even we tried to flog these for £3 each. Remember this was 1977, when £3 was £3, and a pint of lager was then about 40p! Stuart's contributions to the album were The Late Mr Late (about his own difficulty in conforming to the demands of the clock), I see your eyes (with a virtuoso performance on Spanish guitar and a romantic lyric), and Niagara Blues, the band's only instrumental to date – a solo written and performed by Stuart but named by the other members of the band in tribute to the composer's continual battles with the Niagara Finance company, who seemed to own most of Stuart. 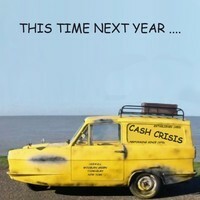 Ron weighed in with Baby Baby, which was a good platform for the band's emerging close harmony work, further developed in the unrequited love-song, Faye by Jon and Nigel, (‘Faye' was actually Barbara from the Leyland Truck and Bus Service Department, but a besotted Nigel swore she was the spitting image of Hollywood's Ms Dunaway). Ron and Nigel worked together to create Pan Africa, which was an early example of Nigel's ‘road' lyrics and Ron's intricate guitar picking. Nigel added another road lyric with Buffet Song, and Ron and Nigel excelled themselves with the melancholy The Hunt is On, which is an atmospheric lament for the fate of the fox. The band has never really done this song justice and still hope to deliver a remake in future. It remains Jon's favourite of all our work to date. When Nigel was young, he used to occasionally write some up-tempo songs, which thankfully gave us Walk the Car – any aspiring musician will appreciate the sentiment – and Speed King, possibly the only rock song in history delivered without meaningful percussion and at a pitch we can only dream of today! The band found a new bass player, John Scroggie, to replace Stuart in 1977, and we continued to record old and new songs. Most of these were either recorded too late for inclusion on Down to the Last P or were not our own compositions. In any event, the band finally dissolved in late 1977 when Nigel moved out and set off for a new job in London and wedded bliss! 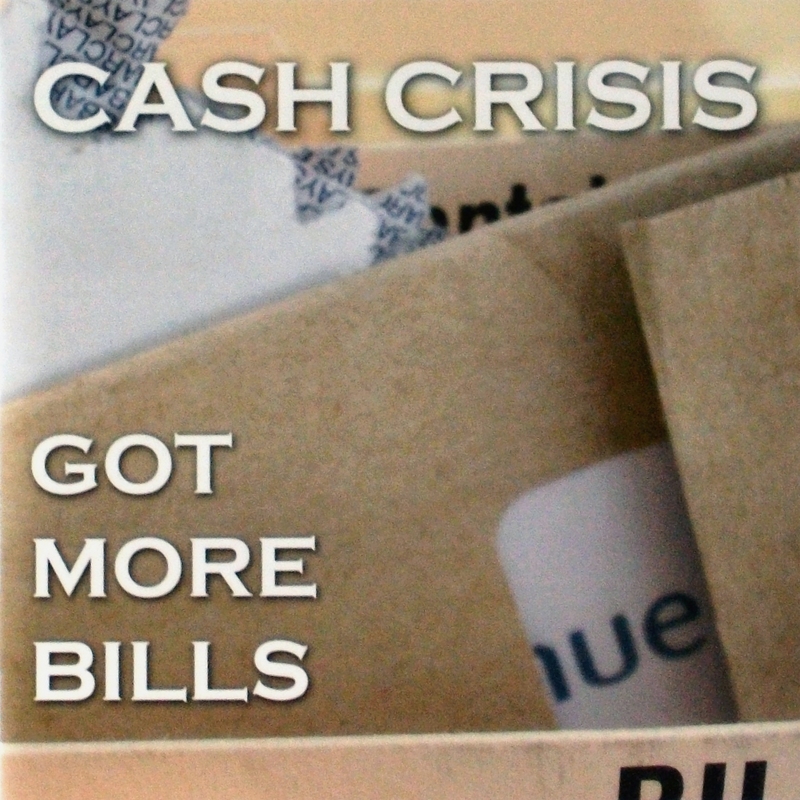 The necessity of this was reflected in the words of Old Guitar, which was written in 1977 by Nigel and Jon, but only properly recorded in 2006 for inclusion on Got More Bills. Ron and Jon briefly joined a Country ‘n Western line-up, but it never really presented any creative challenge and the guys shortly settled down to mortgages and accounting exams. This left us with a ragtag of unpublished recordings from 1976/77 which then rotted on dusty tapes in Ron's loft for the next 28 years… After the band reformed in 2003-4, we decided after a few charity gigs (and a lot of beer and wine) that the world needed to hear these ancient treasures, especially if we could then raise some more money for MacMillan Cancer Relief. Ron therefore set to work collating the various tapes (reel-to-reel, cassettes – wherever they were) and rescuing some semblance of sound quality before we finally published the finished article almost 30 years after the original recordings. For the princely sum of £5 these mighty works of creative genius (but ‘interesting' production quality) were made available to the public. Two of the songs were written by the greats of popular music: Always Something There to Remind Me (Baccarach), and Here, There and Everywhere (Lennon/McCartney). Listen out for Ron's whistling on Always ..., and for the spice jar percussion on Here, There ...! We also feature Lindisfarne's classic Meet Me on the Corner, which has long been one of the band's standbys. The Hunt is On, I see your eyes, Pan Africa, and Faye were reproduced from the original tape for the previous album, leaving only Groupie (Newman/Francis), Rain Clouds (Easton), Down to the Last P (Newman), and Back in a Band (Newman), as previously unpublished original material. The first 2 of these were never really completed works and would no doubt have been substantially re-arranged if the band had survived 1977. The Groupie recording by Ron and Jon was only ever whiling away an hour on a wet Sunday afternoon, yet even to this day it remains one of Nigel's personal favourites, which he regularly urges us to re-record. Rain Cloud, despite its confused tempo, has some wonderful duelling guitar passages by Ron and Stuart. Down to the Last P, a solo effort by Nigel accidentally missed off the synonymous album, would no doubt today have percussion and harmonies added. Finally the lively Back in a Band expresses Nigel's 1976 feelings about the band getting together, which all 3 of us can heartily endorse to this day!